Elementals of the "Four Elements"
Look closely at this picture, tilting your head slightly to the left if necessary! When our Solar Logoi decided to create a new System, three evolutionary intelligences were given an opportunity to develop and mature there. These were the Angelic, the human and the elemental. We also noted how Mighty Beings were called from the Cosmos to supplement the work of the Elohim and make this Planet Earth a hospitable and comfortable place for the Individualized I AM Presences to reside. These Mighty Beings represented Water, Air and Earth; the fourth element - Fire - being provided by the Solar Logoi Themselves. In the following, the Directors of these four elements are giving us a picture of Their Work and Service and, also at times, details of Their Own Evolution. They are: The Cosmic Being Astrea, Divine Complement of the Elohim of Purity, for the Fire Element. The elementals under Her charge are known as Salamanders. Next comes Mighty Neptune for water, with His Divine Complement, Luara. The elementals under Them are known as Undines. They are followed by the Cosmic Being Aries and Her Divine Complement Thor, for the Air. The elementals under Them are known as Sylphs. Finally comes Beloved Virgo, Spirit of the Earth, affectionately known as "Mother Earth". Her Divine Complement is Pelleur and the elementals under them are the Gnomes. Each of the above Directors of the Forces of Elements had received, through aeons of time, opportunity to develop the powers of precipitating the substances and beings they present, as well as the power to control and direct them.
" . . . In endeavoring to understand the right use of the Sacred Fire, the student must first learn that the Sacred Fire Itself is consciously qualified, obedient, intelligent Life - eagerly willing and capable of rendering the service for which It is called forth! The acceptance in the outer consciousness (feeling world in particular) of the already gathered momentums of various Qualities and Activities of the Sacred Fire (such as the Freedom Flame, Resurrection Flame, etc.) is so essential to the success of Its use. "The Sacred Fire renders two services - one manifesting as the power of Precipitation - the conscious creation of constructive form in any Sphere, including the physical appearance world; the other manifesting as the power of etherialization (dissolving) of form at the completion of its usefulness. "The Salamanders are the Beings which serve the Fire Element and are of tremendous assistance to the Directors of the Fire Kingdom. Many of these Salamanders are as large as the Empire State Building (in New York City) while many are as small as the head of an ordinary pin. They serve constantly under their Directors to dissolve the impurities released from mankind through the destructive use of their creative centers (thoughts, feelings, and spoken words) and are a tremendous boon to the other three Elements - Earth, Air and Water. Perhaps it is difficult for you to conceive of Fire Beings acting as purifying agents through the Water Element but they do! Without these Salamanders (many of Whom come from the Electronic Belt around the physical Sun) the forces of the other three Elements would long since have rebelled violently, causing much cataclysmic action, fear and chaos to the people of Earth. I should particularly like you, from tonight on, to acknowledge and consciously bless these Salamanders for their service all through the ages, not only in this physical appearance world but also in the Inner Spheres where disembodied lifestreams dwell between embodiments. "Fire, like every other Element, has given great blessings to the race by manifesting in a constructive manner; i.e., for incineration, heat, light, cooking, etc., and in a destructive way also, causing the loss of homes, lives and property. Therefore, mankind in general have a terrific fear (often buried in the etheric garment) of the action of fire. Tonight, we are endeavoring to remove this fear from the etheric consciousness (memory world) of the people and replace that fear by a love of the purifying Radiation and Activities which are within the Sacred Fire. "Many individuals (particularly those who have been burned at the stake in past lives, or otherwise tortured by fire) have been deeply scarred etherically. The removal of the cause, effect, record and memory of such fear shall take place now! Then the activities of the Sacred Fire will be more welcomed by all the evolutions in the Earth, on the Earth, and in Its atmosphere as a liberating, purifying power. I so decree it! "Through ages of misuse of the Fire Element, many disembodied lifestreams are also, very much afraid of Fire. Thus, the purifying currents of the Violet Transmuting Flame, as well as the radiation of My Own Ray and that of the Elohim of Purity, are violently rejected by the souls (even at Inner Levels) who have utilized the Fire Element to cause agony and death to their fellow men. After the first Zarathustra brought back the remembrance of the use of the Fire Element to the outer consciousness of mankind on Earth, for a long time that Fire was loved and blessed by the Priests and the people and only used constructively. Then came the time when, through many ages, unscrupulous Priests and Priestesses invoked the powers of the Fire Element for selfish and destructive purposes. Salamanders who responded in obedience to those who were practicing such Black Magic rites became bound to the lifestreams of those who had invoked them and have followed those lifestreams ever since. (1) We are asking you now to help Us cut these Salamanders free from these lifestreams, many of whom are yet to be born on the Earth. Those with incendiary tendencies often have those tendencies stimulated by such Salamanders who have taken on the "mischief" of their masters. "I smile at the consciousness of those who refuse to believe that the Earth first must be cleansed and purified from within out, before the glorious radiation of the Ascended Master Realm can be manifest again for the sweet Earth and all her evolutions. This idea is just as foolish as to think one can ignore the weeds which fill a field and, sowing fresh grass seed upon them, expect to have a grassy lawn of velvety softness. "My service to this Universe is to help remove the causes and cores of all the 'seeds' of human selfishness, discord, limitation and distress from within the four lower bodies of mankind, as well as the mass creations which blanket the Earth and Its entire atmosphere. Many of you individually are going through the process at this time of having certain destructive qualities, tendencies, and cores of impurity removed from your four lower bodies. It is sometimes no more pleasant to experience this than it is to have a tooth pulled from an abscessed gum - but it is just as essential to the permanent well-being of the individual. "You would be amazed at the tenacity with which individuals hold on (in the feelings) to certain habits and tendencies. They really enjoy them and are not at all either eager or desirous of letting them go; also - the humanly created entities of discord really hate the purifying activities of the Sacred Fire, fearing the loss of their identity. This resistance is what We must meet with the help of sincere students who will invoke Our aid, since We must have the call and authority from your (the human) octave - from those still in physical embodiment where the need is to be met. "As I have told you previously, I chose to cooperate with the Beloved Elohim of Purity - creating, sustaining and expanding by use, the activities of My Circle and Sword of Blue Flame which I release at your call in, through, and around whatever destructive condensations of energy you designate in that call. . . . "
"After the pollution of the consciousness of mankind through the coming of the 'laggards' from other Stars, it was necessary for the Directors of each Element to lower the vibratory action of that Element so that it might be efficacious to the more slowly vibrating of Earth's people. This required the mastery of which I just spoke changing the rate of the vibration of electrons and atoms in the Water Element, but still keeping them harmonious even as the slow, graceful rhythm of the waltz is just as harmonious as the rapid swirling rhythms of the great Salamanders and Sylphs Whose dances are a paean of praise to God just for the very gift and use of Life itself. Although the substance of the various Elements had been consciously conformed to the use of the ever-densening bodies of the people of Earth, the actual pollution of the Elements of Air, Water and Earth was affected by the very people who were guests upon this Planet! "What think you of the etheric substance which vibrates in the atmosphere around the location of the sinking of the one ship alone the Lusitania - not to mention the many other places where the tides, hidden sand-bars or rocky peninsulas have formed snares for the unwary seamen? The use of the hidden mines and the submarine warfare in your present day has also heavily charged the etheric substance around the Planet Earth with great distress besides the many other tragedies of the seas in ages past. "You see, in cataclysmic action ordained by Divine Law, some of the priesthood voluntarily offered to absorb into themselves and dissolve by their knowledge and use of the Violet Fire, much of the general fear of the people. However, where there are deliberate acts of human cruelty, these vortices of distress remain to be purified by some of mankind who are willing so to do by their knowledge and use of the Violet Transmuting Flame. . . . "
" . . . Some of the Undines too, (like the Salamanders), have been invoked and used for destructive purposes and these are often attached to the lifestream of such an individual who has so invoked them. In this case, the Elemental has become the master instead of the servant of such an individual, spurring that lifestream on to continue his practices of cruelty in the use of the Water Element. Call now that every such Undine be purified by the Sacred Fire and cut free from the desire to torment mankind ever again. . . . "
"The creatures of the deep, such as the octopus, shark, killer whale (to mention but a few) have all developed their defense mechanisms as a result of their having contacted the 'killer' instincts in mankind's outer consciousness. As you continue to call for the purification of the Water Element and the redemption of these creatures, you will see them disappear from the ocean depths. It is a marvel to Me to see how many defenseless creatures on land and in the sea hunted by mankind have not developed a greater antipathy toward the human race and submit helplessly to the unnecessary slaughter - just for the 'sport'. However, these creatures so hunted really retrogress and, in each succeeding embodiment, carry more and more of a destructive and vindictive nature within themselves. Were it not for Our endeavors and the great assistance of the Elohim of Purity, Astrea and the Beings of the Violet Fire, many of the prehistoric monsters mentioned in legend and fable would still be a threat to those sailing the seas, both for pleasure and for business purposes. . . . "
" . . . In such places as New Bedford, Massachusetts, - once a 'whaling center', as well as in smaller fishing towns where in the past men made (and today, still make) a practice of 'following the sea' for a living, the inner atmosphere of those places is filled with destructive etheric records of the fear and sorrow of the sweethearts, wives, mothers, and children who have lived in those places and have had the experiences of losing their loved ones to sea. The removal of all such destructive etheric records and the purification of all such places is absolutely essential to the preparation for the coming here of the New Race to give them purer landed surface and atmosphere in which to live so that they will not have to 'tune in' in the future to those records of distress of the past and present. . . . "
"I AM Aries - the Director (with Thor, My Beloved Twin Flame) of the Air Element and of the Sylphs - those loving, intelligent beings who serve so ceaselessly in the atmosphere of Earth to keep that air purified enough to allow mankind to live upon Earth's surface. "If you could see the amount of poison exuded just from the breathing out of polluted air from the physical bodies of mankind in one twenty-four period, you would realize much more fully the tremendous service which the Sylphs perform and certainly be much more grateful for it. These blessed beings - twenty-four hours a day - utilize the purifying Powers of the Sacred Fire to keep mankind and imprisoned Elemental life (four-footed creatures) here from poisoning themselves to the point of causing them to experience so-called 'death' - just through inbreathing again their own exhalations. "As you have been told, the atmosphere of Earth has a 'ceiling' provided, in order to keep the dissonance and impurities released from the Earth from jarring the natural rhythm and harmony of the rest of the Planetary System, as well as the entire Galaxy to which the Earth belongs. This 'ceiling' beyond which no discord or impurity can rise, is a blessing to the Universe, but it is an added responsibility to Us because it gives Us much less space in which to perform the activities of purification. It also necessitates Our calling forth a much more powerful and therefore quicker, purifying action of the Sacred Fire - whereas, if there were no such 'ceiling', the tendency of the radiation from the Earth would be to rise and eventually transmute its shadows in the Fire of Purity which is the natural atmosphere of God and in which atmosphere abide the other planets of the Galaxy. Therefore, We are called upon to act much more quickly in a smaller area (relatively speaking) to make and keep the atmosphere around the Earth pure enough to sustain physical existence here. "Whenever the Directors of the Air Element and the Sylphs under Their command withdraw from a Planet or Star according to the Direction of Cosmic Law), you soon have a 'dead' Planet and even plant life cannot live upon it. It was just such a Cosmic crisis which the Earth faced when Beloved Sanat Kumara interceded on behalf of the Earth and its evolutions. All through the Universe, you can see drifting those 'shells' which were once Planets and Stars, from which have been consciously withdrawn the Directors of the Forces of the Elements and the Elementals that serve under Them. These 'shells' of former Planets and Stars finally disintegrate into Cosmic 'dust' and return to the Universal. There, the electrons which made up the former Planet or Star may be repolarized and returned to the particular Sun from whence they originally came. From there, they are sent forth again at a later time to help create and sustain some new constructive creation which will benefit the evolutions of the Galaxy or System which has been chosen for such blessing. "It is commonly known that mankind can live for several weeks without food; approximately twelve days without water; but only about three minutes without breath (excluding, of course, initiates who have mastered the art of the suspension of the breath and these are rare in the extreme). The newborn infant, breathing in the first breath, begins his existence in the physical appearance world. As long as he lives, provision of the life-giving essence of breath and the purifying of his polluted breath (exhaled from the body) is Our responsibility and obligation. When the individual I AM Presence chooses to withdraw the Silver Cord from a physical form (4) mankind gives up his last breath and no longer continues to be - at least in the world of form. "To purify the entire atmosphere of Earth so that all the life evolving here may be provided with and sustained by the purity of air which God intended for all in the beginning, is the end toward which we are working. We are grateful, too, that to this end we have the loving, marvelous cooperation of the Directors of all the Elements which serve life and the Beings who serve under them. "The Beloved Neptune and the Undines provide the salt which anchors the substance of air into the lower atmosphere of Earth and gives assistance to the Sylphs to rise up and out of the polluted air in which they are compelled to serve. The Beloved Helios and Vesta draw the substance of the Water Element into the Air, giving the 'ballast', so to speak, to the higher atmosphere which We provide. By the use of the radiation sent forth from trees and various plant-life, the Beloved Maha Chohan and the Nature Kingdom help Us to transmute the exhaled impurities of mankind and the animal kingdom and They also assist Us to purify the ever-increasing fumes, smokes and stenches from so-called 'modern' factories. "The Beloved Thor (My Twin-Flame) moves the great air masses to the points where they are needed most, providing cooling breezes for those who may be sweltering in humid heat; filling the sails of ships becalmed on tideless seas; directing the purifying energies of the North Wind which carries snow (the beautiful gift of the Elohim of Purity) to blanket and nourish certain portions of the Earth's surface preparatory to a new harvest. On the East Wind, Beloved Thor directs the precipitating clouds which carry the necessary moisture to arid areas. He directs the soft, warm breezes on the South Wind and the moisture-absorbing currents which etherealize excessive precipitation and dry up waters which are in their wrong place. It is certainly one of the tragedies of mankind's expressed consciousness that Beloved Thor has been pictured as a great, bloated figure, directing destructive energies through the wind to beset already distraught mankind! "My service is to provide the essence of air! Like Neptune and Virgo, the events of the ages have required that I lower the vibratory action of the electrons which make up the Air Element so that the lungs of men could absorb, utilize and benefit by Its use. Beloved Thor's activity is to move that Air in Kindness and Wisdom wherever it is necessary to give the greatest blessings to the Earth and its evolutions. "Like the other Directors of the Elements, after the shadows of mankind's discordant creations came upon the Earth, We had to draw forth much more power and God-control to handle the Beings of Our Element - the Sylphs. These have built, all through the centuries, an ever-increasing momentum of resentments, (5) and rebellions against mankind because of his ingratitude for their service to him, as well as the continued careless and thoughtless pollution of the Air Element by human effluvia and that of mankind's ingenious power plants and manufacturing units. Beloved Hilarion and the Brotherhood at Crete have helped Us considerably by directing into the outer consciousness of certain sensitive individuals of research and ability, the practical ways and means of dissolving much of the pollution of the Air Element, through mechanization. We bless Beloved Hilarion and His Brotherhood, as well as those unascended ones who have devoted their lives to this process of purification - i.e., placing smokeconsumers on the smoke stacks of great factories - this being one example of their expressed endeavor. "Within the Air are so many spiritual forces, which the average individual uses not at all. By some, this spiritually stimulating energy is called prana and that was the 'food ye know not of', of which Beloved Jesus spoke. This sustained Him - not only during His temporal fast in the wilderness but also throughout the course of His strenuous ministry. Lord Gautama Buddha also used the essence of prana to keep alive His physical body while He was away from it in the course of His long vigil, seeking Truth by the elevation of His consciousness. "The average member of the human race responds only to the almost involuntary inhalation and exhalation of the breath as regulated by the Holy Christ Self. The short, hurried, shallow breaths of man do sustain a certain amount of life within the physical body but do little to spiritually vitalize and nourish it. We do call now that mankind awaken again to the absolute necessity for developing the rhythmic breath, drawing deeply upon the spiritual energies in the atmosphere all about him; digesting the nourishment of the essence, expanding it and then giving in turn, a blessing to the Air as he breathes out the purified breath from his body. . . . "
" . . . As in the other kingdoms, in ages past, many individuals learned how to use the breath to sustain life in the body for long periods of time in order to be able to perform certain feats of so-called 'magic', thereby gathering around themselves great masses of credulous people. Becoming bolder, such individuals invoked certain of the Sylphs to assist them in the producing of phenomena which awed the people. These Sylphs, (like the Salamanders and the Undines; became attached to the lifestreams of the individuals who had so invoked them and followed such individuals through many embodiments - thus becoming often the master of the individual rather than his servant. Bold, blustery individuals usually have either the presence of such a Sylph or a momentum of such a Sylph's power in their auras. . . . "
" . . . . During these four days of Class, We are primarily concerned with the purification of the entire atmosphere of Earth and the removal of the 'Veil of Maya" . . . when this has been done, mankind will again be able to see his own individualized I AM Presence face to face, as well as the Angels, Masters, and Beings of Light. You have no idea how much confidence, real faith, and spiritual strength can be drawn into one's consciousness by such confirmation of belief when the personal self actually sees the Reality of his own Presence and Ascended or Angelic Beings with his physical sight. "Today, We are also concerned with the purification of the etheric bodies of mankind so that there are no longer desires to compel the forces of the Elementals to obey the destructive free will of human beings. We are concerned with the removal of the rebellions and resentments which exist at present between the Forces of Nature and mankind at large. 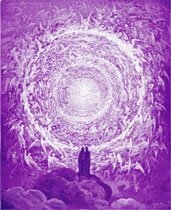 When the Elementals know, through proven endeavor, that mankind really does seek to cooperate with Them, we shall see the re-establishment of that glorious Kingdom of Angels, mankind and Elemental life which will be externalized in Beloved Saint Germain's Golden Age of permanent Perfection for this Planet and its evolutions. "I AM Real! I AM your Friend! Beloved Thor is Real! He is your Friend! The Sylphs are real too, and they want to be your friends. Despite so much ingratitude upon the part of mankind for the blessings received from the Sylphs, those Sylphs have proven their willingness to serve by making and keeping the atmosphere of Earth pure enough to sustain life here day after day - human life as well as that in the Nature Kingdom. "When you hear of or read about vortices of Air currents of a destructive nature attempting to manifest at any point on or around the Earth, call to Us! Ask Us for assistance and see how quickly We will come to the aid of you or those for whom you call. "In loving Gratitude for your comprehension, your service, your desire to cooperate with Our Kingdom and Its inhabitants, I Bless you in the Name of the One God and the Spirits of the Air, whose direction I have voluntarily undertaken to assist in making Earth a happy, beautiful and habitable Planet. Thank you and good evening." "I AM Virgo - Spirit of the Earth - affectionately called by many 'Mother Earth'. In a time long, long ago, My Beloved Pelleur (the Twin-Flame of My Lifestream) and I answered the call of the Mighty Helios and Vesta for volunteers to assist the Seven Mighty Elohim in Their joyous task of creating a habitable Planet for the mankind which, in time, would proceed as Individualized Lifestreams from the Heart-Hlames of Helios and Vesta Themselves. "Others, besides Us, were given opportunity with Us to show Their particularly developed capacities to create and sustain a substance for this Planet, whose vibrations would be of such a rate as to make it solid enough to form a platform for the feet of the people of Earth, where they could walk in safety and in happiness. Finally, We were chosen for this signal honor and given opportunity to so serve. Then We were called upon to manifest the 'staying power' (centripetal force) which would keep the landed substance of Earth in its appointed place, cushioned by the Water Element. We were also called upon to create just the right amount of 'gravity pull' which would not be a distress upon the feelings of the people, but yet keep their bodies from flying off the Planet into outer space. "I worked in close harmony with the first Maha Chohan Who served the Earth, the Beings of each of the four seasons, as well as with the Great Nature Spirits Who ensouled the mountains, fertile valleys, trees, shrubs, and flowers, and the Gnomes, Fairies and smaller Nature Spirits Whose activities would be on the surface as well as within the very body of the Earth Itself. "When the first inhabitants of Earth embodied here (called 'Holy Innocents'), the Earth was garlanded in the most fragrant flowers) Amaryllis (Spirit of Spring) having prepared for more than nine hundred years to develop the greatest possible beauty for the incoming lifestreams. "In the beginning - the first Golden Age - the Earth's substance was crystalline, pure and iridescent and the glowing radiation from the very center of the Earth was easily discernible, pouring up, in, through and around the Earth and all Its attendant evolutions. This glowing center of the Earth was the place where My Beloved Pelleur focused His magnetic Ray, at the point where the Masculine and the Feminine Rays meet, (7) the Masculine Ray of Gold entering the Earth at a point in Tibet and the Feminine Ray of Pink entering from a point in South America, near Lake Titicaca. These two Rays converge within the Earth Itself. This Heart-Center of Pink and Golden Light within the Earth created a tremendous buoyancy and raising power of Divine Love which surged out through the Earth and Its atmosphere, allowing the bodies of the people to absorb the radiant substance and to live, move, and have their being within that Divine atmosphere of Purity and Peace. This gave the people assistance in the speedy fulfillment of their own Divine Plan. "As you look down through clear water and are able to observe the submarine life, so could any member of the race then embodied look into the depths beneath the Earth's surface and see the Salamanders disporting themselves in the Pink and Golden Rays from the center of the Earth. These beings carried the surging, vitalizing energies of the Sacred Fire upward through the entire Nature Kingdom and to the lifestreams dwelling upon the surface of the Earth as well. In like manner could they observe the busy little Gnomes and other Nature Spirits (in that time all were in perfect proportion and symmetry of body) serving to nourish, develop and push up to the surface of the Earth, the plant life designed by the Builders of Form and the Directors of the Nature Kingdom. "In those days, there were perfect harmony and rhythm in the changes of Season as each of the Great Beings Who direct the Four Seasons (together with Their Divine Complements) served to give variation of color and design, as well as variations in types of harvest, to nourish and sustain the bodies of the people. "Then, as has often been described to you, there came the need of some Planet of our System to offer to be Host to some souls from other Planets, which souls did not choose to progress along the Path of Life as quickly as the rest of the lifestreams evolving with them. By command of Cosmic Law, these Planets were destined to move forward into greater perfection and much more rapid vibratory action and these recalcitrant souls - vibrating at a slower rate - would not be able to embody thereon. When this call went forth for a volunteer Planet which would offer such souls opportunity for embodiment, Those Who were in charge of the Earth and Her evolutions at that time, answered that call and offered the Earth as a home for these 'laggards'. These lifestreams then began to come into embodiment here, of course bringing with them the shadows in their consciousness formed by their rebellious feelings against moving forward more rapidly into greater light. The lower vibrations of these shadows were contagious to Earth's people; so much that, in time, it caused the lowering of the vibratory action of the bodies of the people, as well as the vibrations of the Planet Itself. Of course, as the vibratory rate of mankind's physical bodies lowered, those bodies became less and less luminous as well as heavier in weight and the excrement of impurity from these bodies began the creation of that which is so aptly called 'soil'. The original rapidly vibrating substance of Earth would no longer sustain such physical bodies in comfort and so, in mercy, the Great Cosmic Law called upon Us to lower the vibrations of the substance of Earth so that It would hold the weight of man and the civilizations then extant here, during his decline into what has been referred to as 'matter'. Beloved Pelleur then also had to lower the vibrations of the 'gravity pull' of Earth and create a centripetal force within the Earth (2) which would correspond to the denser type of creation which mankind had drawn about them on Earth's surface. "As it had taken place in the other Three Kingdoms - Salamanders, Undines, and Sylphs - so among the Gnomes (and other Nature Spirits) there began to build resentments and rebellions against the thoughtless, careless and selfish members of the human race who used the body of the Earth - the riches of Its mountain ranges and the harvests of the selfless workers in the Nature Kingdom, just as a matter of course. For all these blessings, the people returned little or no gratitude to life - giving back nothing but refuse and impure excrement in exchange for this freely given heritage of harvest, of precious stones and metals, and the very platform provided for man to stand upon; as well as upon which to build their Temples, homes and various foci of pleasure and vanity. "Like all the other Beings of Nature, the Gnomes are imitative in the extreme. By their very vow of obedience to man, they mirror that which they see - whether it be good or otherwise. Many of the originally delicate, ethereal Gnomes became distorted in form, in imitation of that which they saw mankind creating by the destructive use of their words, thoughts, feelings and actions, and the destructive thought and feeling forms which individuals had drawn about them by their misuse of life's energy. These Gnomes also became very mischievous in nature and enjoyed playing tricks upon their human tormentors. Like the Leprechauns of Ireland, they were well-acquainted with the rich locations of the gold deposits in various places within the Earth and would promise those whom they could contact that, if such individuals would do their will, they would give them riches without limit, ("the pot at the end of the rainbow"). Of course, these Leprechauns had no intention of revealing the locations of these riches to the people but, knowing the lust for gold and wealth of every description in the consciousness of man, these Elementals played upon these carnal desires. Pelleur and Myself would so love to see the Gnomes and Nature Spirits cut free from this distortion of form right now; as well as from such mischievous and tricky activities of thought and feeling. "Worse still, some of the greater Mountain Spirits, catching up the spirit of rebellion, spewed forth fire, smoke and molten lava; thus causing great havoc, death and destruction to the inhabitants of the Earth; from time to time. All volcanic action, past and present, is due to such an antipathy between the Elementals of the Earth, and the people whom they had come in such love to serve. "Remember, Beloved Ones, that the Earth has suffered much for many ages from the destructive consciousness and activities of mankind. The decaying bodies of the "dead" have been buried within the Earth century after century and the Gnomes have had the unpleasant task of completing the dissolution of polluted vehicles which had reached such a state of imperfection because of the discords of the personality which had formerly inhabited that body, that the Holy Christ Self of such individual and the Body Elemental thereof, could no longer use that body for any constructive purpose. Thus, in mercy, the Cosmic Law called such lifestreams from those "shells" of physical imperfection and mankind, callously, gave to the Earth the body which God, Himself, felt was no longer fit to allow to dwell therein the focus of His Own life - the Immortal Three-fold Flame of Eternal Truth. "In the process of embalming (used so efficaciously by the Egyptians and the Atlanteans long ago) the task of decomposing these diseased bodies was made more difficult for the Gnomes who, for ages of time, had to suffer the presence of these discarded and decaying "shells" in their element and home. Thank God that some races have used the funeral pyre and that here, in the Western Hemisphere, cremation is again coming to be recognized as an acceptable means of disposing of the out-worn earthly 'shell'. . . . "
" . . . As the other Beloved Directors of the Forces of Nature have told you, We are speaking very plainly to you at this time. Many earnest students do not wish to look into the causes of distress, preferring to assure themselves that, eventually, all will come out all right. Yet, how shall We, (and you who desire to help Us) re-create a harmony and an affinity between the various Beings of the Elements, the Angels and mankind, unless some understand and consciously endeavor to remove destructive causes behind the effects which so distress the people of Earth? You see, not until the causes are removed can the effects cease to be! This is perfectly obvious. "The substance of Earth has been used, as have the other Elements, for various types of torture - burying people alive... There are very few of the people of Earth who have not participated in some way in such unwholesome task at one time or another... The fear of being "buried alive" is very real among some of the people of Earth. Why? Well, it is either because they were so buried themselves by some of their kind (?) brothers and sisters; by eruptions of Nature; or because they participated (often in the name of religion) in such practices. The old records live in the etheric bodies of the individuals who took part in such deeds. . . . "
" . . . As so many Salamanders, Undines and Sylphs have become attached to certain lifestreams through being invoked by them in mystic rites and black magic, so also have many Gnomes and larger Nature Spirits become attached to lifestreams and they, like the genie invoked by Aladdin and his Mystic Lamp, have served their masters for some time; then, in time, these Elementals became masters themselves of the very lifestreams they had formerly served. . . . "
" . . . In closing, may I ask you to send you deepest love and appreciation to Beloved Pelleur Who abides within the heart of the Earth, for His service to the Earth and her people all through the ages. In those Planets where the centripetal force of some Great Being like Pelleur has been removed (where there is no 'gravity pull'), you can witness the disintegration of these Planets and Stars until they become again 'star dust', without form or purpose. Remembering that, through the centripetal force of His Love, Pelleur has given you opportunity again and again to live upon this Planet through the course of many embodiments. . . and that I AM your 'Mother Earth'. I do hope you will think upon Us kindly and very often! Thank you and good morning!" 1. On the reverse side, where the Salamanders were loved and their cooperation sought, we have instances where individuals walked bare-footed on live coals, heated to 1472 degrees, without any apparent feeling of hurt. Every year on May 21, in a small village of Northern Greece, in Macedonia named "Langadas", a group of both sexes, known as "Anastenarides", after several days of fasting, prayer and invocation to God and His Saints, particularly to St. Constantine and his mother Helena, and in the presence of spectators often estimated as high as twenty thousand, walk bare-footed on live coals of several feet depth and diameter, dance on them, and often with their naked hands move these live coals, without the least apparent injury.
" . . . Every continent on the landed surface of this Earth has within it some vast desert, or barren place wherein evil at one time was magnetized and life in and about it retreated, even as Beloved Pelleur and His Kingdom took sanctuary in the center of the Earth. Those continents upon the landed surface of the Earth which have such scars are being healed by the Elemental Kingdom under the supervision of the Directors of the Forces of Nature, by the loving assistance of the Maha Chohan and by Those of Us Who guard and guide each continent, bringing it back again to the Immaculate Concept which it had in the beginning when first Helios and Vesta directed Their mighty currents. . . . "
3. Like the Salamanders, some of the Undines are very small in size while others producing the great waves in a storm at sea - are sometimes eighty or more feet tall. 4. As we have previously stated, the "Silver Cord" (Crystal Cord) is the "life-line" of Light Substance which comes from the Heart of the Presence and anchors within the heart of the physical body - there sustaining the heart-beat. "Demoniacal and terrific beyond description are the beings who are to be seen exulting in the aerial regions while the jagged flashes of the lightning and the deafening roar of the thunder continue hour after hour through the night. Their appearance faintly suggests gigantic bats. Their bodies are human in shape, yet it is no human spirit which, brilliant as the lightning itself, shines through those large upward-slanting eyes. Black as the night is their color, red and flamelike the aura which surrounds them, dividing into two huge pinions behind their bodies; hair that is like a fire streams back from the head as though tongues of flame. Thousands of beings, of whom this is but a halting description, revel in the midst of the storm. The clash of the mighty forces gives them an exaltation of consciousness... They wheel, swoop, dart, soar and hover, apparently intensifying the forces of the storm, which in them seems to find embodiment. Behind these and above them, in the very heart of the storm, is one beside whom the elementals of storm and disintegration are but flickering bats. There, in the heart of it all, is to be seen one of the great Devas of the elements - human in form, yet utterly superhuman in beauty, majesty and power. It was the knowledge of this "Presence" in the midst which inspired courage and calmness when, just before a flash of lightning cleaved the heavens with a ribbon of fire, one of the dark beings seemed to swoop down, and for a moment hover close above us. The baleful eyes, gleaming with frenzy, were fixed upon the Earth below. For a fraction of a second, the consciousness behind those eyes was contacted, producing a feeling of vertigo and terror such as had not been experienced since the dark days of the war and the awful nights passed under bomb and shell fire. Under this present test, the value of those days was realized, for automatically the consciousness overcame the fear, and stilled the trembling of the body caused by the vision of the deafening crack of thunder by which it was accompanied. Instantly, the dark stormfiend sped away, uttering the weird, exulting, unearthly cry, which was continuously audible - as if from a thousand throats, throughout the storm. In the midst of all this uproar, there was calm, poise unshakable, a power which even these unruly legions acknowledged. Beyond a certain limit they could not go, for they were ever held in check by a will which reigned supreme over the elemental force as, like Hell let loose, they fought out the battle of the storm, hour after hour through the night." "The center of the Earth is under the direction of an Intelligent Being. The Heart of the Planet Earth is Light. This Light passes from the Heart through the body of the Earth to the surface in exactly the same manner as the Light that sustains the human body passes to the various extremities and sustains the life of the vehicle. The Great Earth Elemental sends forth this pulsation, which is under My direction as well as that of Beloved Virgo and Pelleur, the pressure that brings forth all the plant life - all the crops, flowers and trees which make it possible for the physical bodies of the human race to survive. Where the pressure of Light is most intense, it raises the very crust of the Earth and forms your mountains, hills and high places. The Divine Design of this Planet, and all others, require that at certain points, concentrated Light must be sustained to hold the balance of the Planet on its Axis, just as you put supports to hold a ceiling of a structure. They are the Cosmic 'pins', so to speak, that keep the Earth in its place in the Universe. They are the wings that keep it from toppling. "These points of Light form the great mountain ranges, and because of the intensity of the Light at those places, which are geometrically located, it is easier for individuals, seeking illumination, to achieve it where that natural concentration accelerates their Flame. That is why, within the Himalayan Mountains, and the other high ranges, the Holy Men and Women are able to attain their goal more easily. This is the natural activity provided by the Interstellar Itelligence, governing the Universe. There are, also, created mountains, like the Hill of Tara, where individuals consciously draw the Light - not only from above, but beneath the surface of the Earth, until the gradual raising of the ground formed what, to all appearances, was a natural manifestation of erosion, etc. It is a scientific fact that Mount Everest, since 1892, has grown toward the sky, and this growth is due to the concentrated invocations of many, many lifestreams hidden within the caves of that Holy Mountain." 7. In the creation of the Planet, the Elohim projected Their mighty convex Rays which united as a pair of fire tongs at the end of their manifestation, and created a sort of womb or vortex, in which the Electronic Substance of the Universal Light was attracted to form the body of the Planet. The Masculine Ray concentrated in the region of what we have today as the Himalayan Mountains, and is guarded by the Great Cosmic Being, Lord Himalaya, while the Feminine Ray concentrated in the Andes Range of South America, close to Lake Titicaca, and is guarded by the other Cosmic Being, God Meru, Manu of the Sixth Ray. 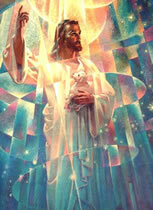 Till recently, as a spiritual urging for humanity, the Masculine Ray was the most sustaining and the most active. But recently, a new trend and direction took place and the Great Feminine Ray began to make itself more conspicuous and assertive. The first impulse on this direction started on August 16, 1952. The Feminine Ray, with its eventual ascendency, will influence women's deportment and view of life, but for the better and only constructively. In preceding pages, reference was made to the "compound" and its one-half million prisoners who, as one may recall, were not ordinary souls, but individuals endowed with super-intelligence which they used, throughout their many embodiments, so selfishly as to retard the evolution of the Planet. Some years back these people were released from the "compound" and eventually re-embodied on Earth. Now, as we know, a reincarnated soul alternates in both sexes, and those from the "compound", being no exception, came to Earth as either male or female. In whichever, however, they carried with them their former evil propensities which did follow them as a shadow follows its body; and finding no fertile ground to express themselves, as their inner promptings urged them, they compromised by letting their superior intelligence dabble in expressions fitting their present environment. Thus, with rare exceptions, we find practically all of them true to their former recalcitrant nature, so well-nourished in the "compound" - non-conformists, rebellious, with many of them, the more aggressive, rank revolutionists, and all of them adverse to bending the knee to God's Will, to Law or to Order. Worse, having the high intelligence and, some of them, the glib tongue, attracted to their propensities, lesser minds.